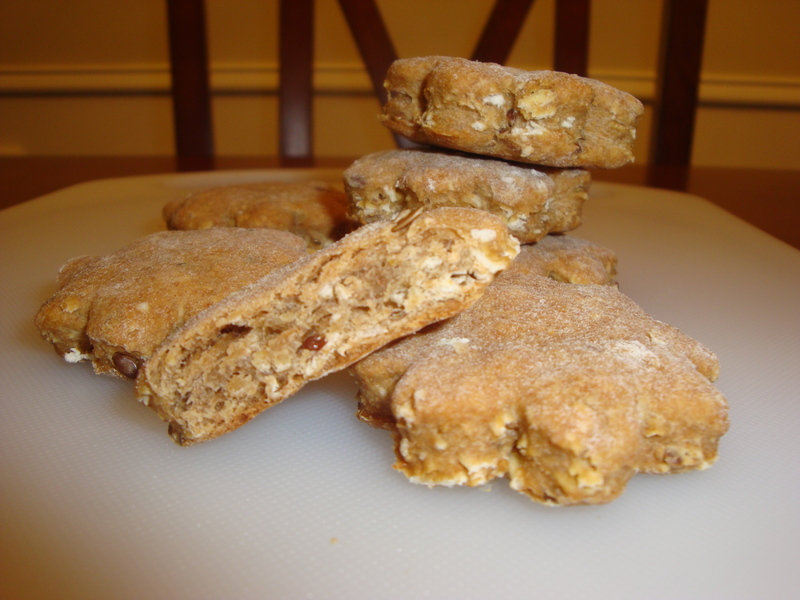 Peanut Butter, Honey, and Oatmeal Dog Biscuits! After searching high and low for amazing dog food and doggy treat recipes, tweaking them, burning them a little (oops! ), tasting myself, and having the Furry Gourmands scoff and, ultimately, approve, I’ve finally compiled a list (that I’m sure will continue to grow and evolve) of deliciously healthy pup treats! Last night’s batch of organic homemade dog biscuits turned out to be a hit! I still want to make a few small adjustments to see how much more of a nutritional punch we can pack, as well as see what consistencies and textures are preferred by our doggy panelists 🙂 before I settle on this particular recipe, but we’ll keep the research going and the recipes growing for more more MORE hand crafted, all natural dog treats!